Alison graduated from Cambridge University, obtained a Graduate Diploma in Law at City University and qualified as a solicitor in 2010. 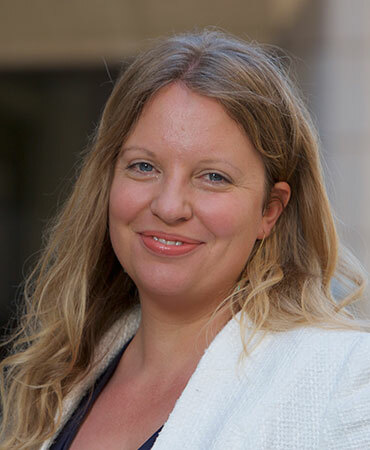 She trained at London Chancery Lane firm, Sharpe Pritchard and joined Scully Twiss in February 2011, becoming a Partner in April 2019. Alison has a real passion for employment law and is experienced in advising public and private sector employers on a broad range of issues. Alison provides practical advice on the full spectrum of employment law matters, from grievance and disciplinary investigations, restructuring and redundancies, TUPE, flexible working applications and maternity/shared parental leave queries, through to dismissals and tribunal claims, particularly focusing on unfair dismissal and discrimination claims. She frequently drafts and reviews employment documentation including offer letters, contracts, consultancy agreements, handbooks, secondment agreements and settlement agreements. Alison has significant experience advising on minimum wage issues, including both compliance and calculations, as well as the full range of employment related data protection matters. Alison has also worked as an Adjudicator at the Financial Ombudsman Service and has volunteered as a legal advisor at Waterloo Legal Advice Service. Alison’s combined working experiences have instilled in her the importance of understanding our clients’ objectives and providing tailored pragmatic legal advice. Advising a retail company on a restructure, including collective redundancy consultation and potential tribunal claims. Advising a large media company on a complex flexible working application. Advising a large corporate company on a disability discrimination claim and reasonable adjustments. Drafting and negotiating terms of settlement agreements and COT3 agreements. Drafting and advising on consultancy agreements, employment contracts, and staff handbooks. Advising a publishing company on TUPE elements of a contract with a new service provider. Advising a hospitality company on night working and workforce agreements.